Lots of warbirds plus the F-104 Starfighter. 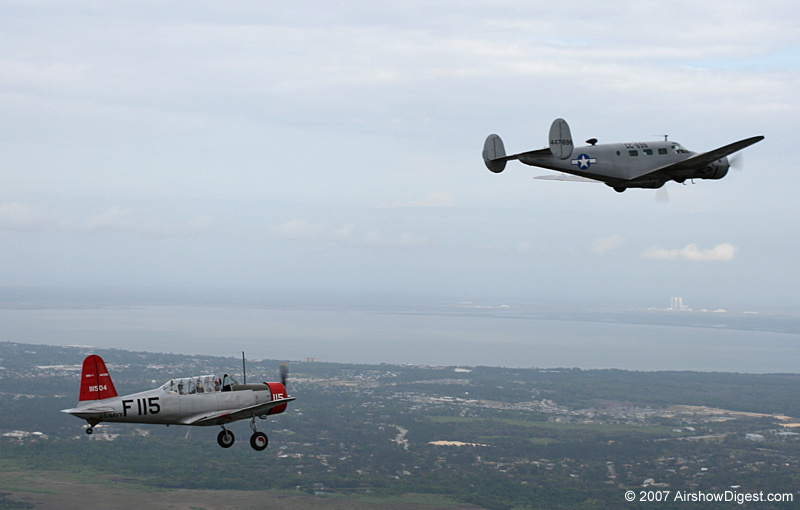 B-25s(3), F-86, F-15 Strike Eagle, F-16, T-6, T-28, and lots more! 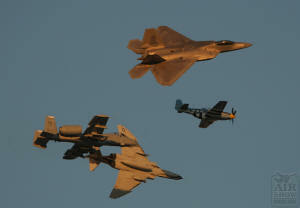 Featuring the Air Force Thunderbirds, F-22 Raptor, F-117 Stealth, B-52, B-24, B-25s, B-17 and lots more. The first CV-22 Demo and a Dutch Viper topped off by The Thunderbirds! Aviation Nation at Nellis Air Force Base in Las Vegas is always a great show. 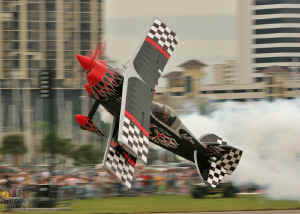 It attracts some of the largest crowds of any airshow in the United States. This year was special with performances highlighting aircraft from World War I, World War II, the Korean and Vietnam conflicts, and the modern era. The Air Force Thunderbirds, based at Nellis, put on a nice performance for the home crowd but the star of the show was Major Max Moga flying the F-22 Raptor doing maneuvers that are impossible on virtually any other fixed wing aircraft. We look forward to the St. Petersburg Airfest each year because it is lots of fun for the whole family. You can drop the kids off at Camp Victory and watch how they do in a simulated boot camp. There are a lot of hands on exhibits that are fun for children and adults alike. When the flying begins, it is up close and easy to see with Tampa Bay providing a beautiful backdrop. If you missed the show this year, you may want to plan your vacation to St. Petersburg around this show in 2008. Dave Thompson and Rich Castle do a wonderful job each year. 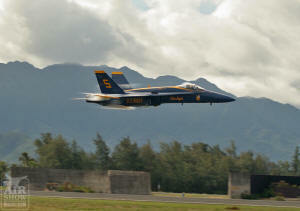 The Blue Angels made the long trip from San Francisco to Marine Corp Base Hawaii in Kaneohe Bay with the help of a KC-10 from Travis AFB. A big crowd estimated at 70,000 packed the base each day to watch the Blues, Patty Wagstaff, Jill Long and others. The Marines put on a nice tactical demo with pyro that the crowd loved. Tim Weber gave a wonderful show in his Extra 300 and was nice enough to let Patty Wagstaff use his plane for her show which included her patented inverted ribbon cut. Mahalo to Airshow Director Bob Farrow for putting on a great show. The Yankee Air Force Museum's beautiful B-17G, Yankee Lady, was the star of the Wings and Wheels Show at Teterboro Airport in New Jersey on September 15th and 16th. 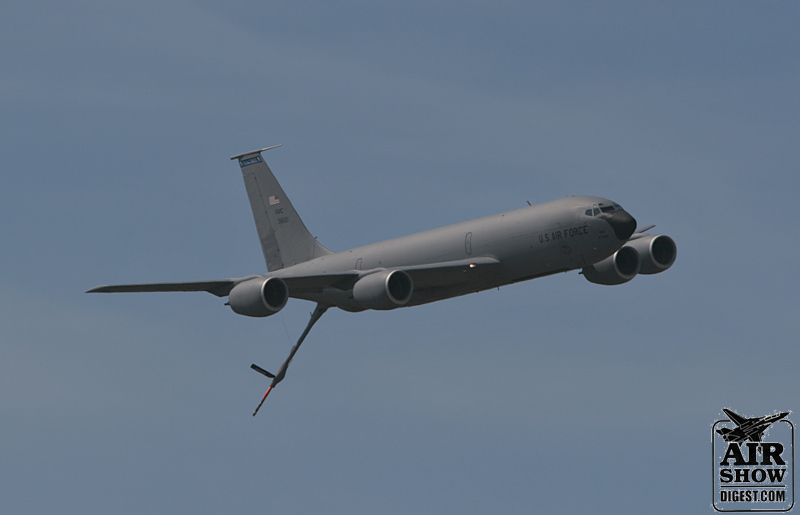 The show is sponsored each year by the Aviation Hall of Fame and Museum of New Jersey, which is based in Teterboro. In addition to Yankee Lady, there was a DC-3 and C-54 on display. Teterboro is rich in aviation history. Amelia Earhart practiced at Teterboro before many of her record-setting flights. In the 1930s, it was the busiest airport in the world. It remains busy today, with private and commercial aircraft. Take a look at our video on YouTube, or download it from the link below. 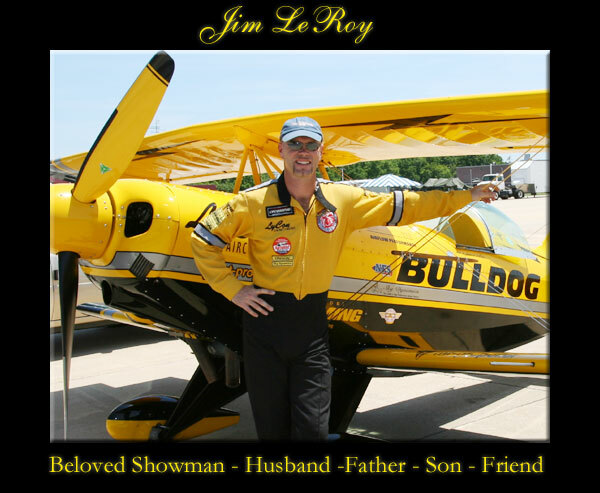 I was introduced to Jim and Joanie LeRoy at the 2006 show in Willow Grove, PA. For three days, I got to stand on the runway as a pole holder as Jim flew only a few feet away performing his act. I was amazed by his skill. At the end of the season, I worked with Jim again in St. Petersburg and Jacksonville. Jim took a great deal of time with me to explain his design for his plane, and how he performed his show. He was a very intelligent man, but never spoke in a condescending manner. On the contrary, he enjoyed sharing his knowledge with others. At Willow Grove, a woman came over to the hot ramp on Saturday afternoon. She introduced herself to me and said that she was a flight instructor in the Air Force and asked if she could speak to Jim. I called him over and she said that he was the most amazing pilot that she had ever seen. That opinion was shared by thousands. 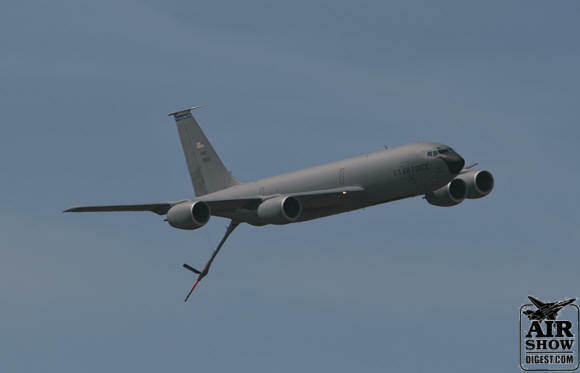 It is an unfortunate fact that when you push the edge of the envelope, as airshow performers do, accidents can happen. On March 16th, Eilon Krugman-Kadi was killed when his L-39 crashed at the TICO Show in Titusville, Florida. 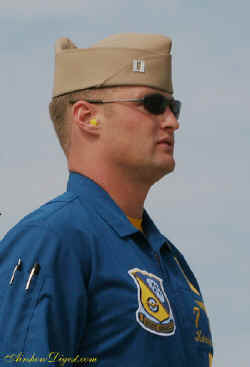 On April 21, Lt. Cdr. Kevin J. Davis of the Blue Angels, pictured here, lost his life during a show in Beaufort, South Carolina. On May 18th, Captain Shawn McCaughey of the Canadian Snowbirds was killed when his CT-114 Tutor crashed during a practice at Malmstrom AFB in Great Falls, Montana. Airshow Digest sends its sincere condolences to the families of the pilots. We would like to assure the public that these incidents are very rare. In all cases, spectators at the shows were never in danger. The FAA has strict guidelines that pilots must follow that protect the safety of people at airshows. . It is human nature to wonder what happened to cause these incidents. We will never speculate here. Professionals will examine all of the evidence and issue a report in the future. For now, or thoughts and prayers are with the families. Nearly half a million people headed to the south side of Tampa for a great airshow at Mac Dill AFB featuring the Navy's Blue Angels and the F-104 Starfighter from nearby Clearwater, Florida. Media day was held on Thursday with a special show for dependents on Friday. The big crowds came in on Saturday and Sunday. Tampa police and Mac Dill security did a great job getting people on and off the base as quickly as possible. If you are reading Airshow Digest, you must love airshows. Whether its the fast-flying military jets, historic warbirds, or twisting acrobatics, you can't get enough. 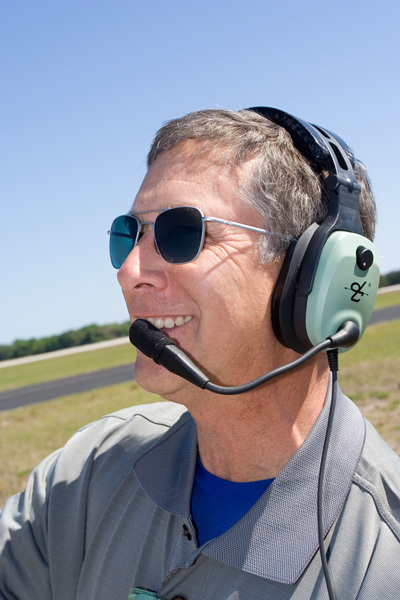 If you have been to more than one airshow, you probably have heard Rob Reider announcing. Rob is one of the best at what he does and has been in the airshow industry for nearly thirty years. In that time, he has had the opportunity to meet nearly every performer on the circuit. Lloyd Morris, the Commander of the Valiant Air Command, and his crew did an excellent job with the 2007 Warbird Airshow. Unfortunately, there was a tragedy on Friday when Eilon Krugman-Kadi was killed when his L-39 crashed while performing a Cuban-8. Eilon was a true gentleman and will be greatly missed by all who knew him. As the saying goes, the show must go on, and it did on Saturday and Sunday with beautiful weather both days. There was a very nice collection of static aircraft and a bunch of warbirds in the air, from T-6 Texans to B-25 bombers. You can see a gallery of Tomcat photos here.